It feels like 1977 again at my house. The Star Wars craze has hit. This time it’s my son Max instead of my brother that’s under the spell. I was eight when Star Wars came out. I remember the long ride to the movie theatre – a whopping 15 minutes – it felt like forever. I loved it but admittedly, my obsession didn’t rise to the level of my friend Andrea’s. Her entire room was decked out in Star Wars gear; bedspread, curtains, posters, you name it. She was Princess Leia for Halloween. Six-year-old Max listens to these details in awe. He’s obsessed. He discovered the galaxy far far away in a sticker book and hasn’t looked back since. Abandoning Batman, Spiderman, and the Hulk, he now chats about Darth Vader, R2D2, and Anakin Skywalker. We spent our summer reading Star Wars books, buying Star Wars Legos, workbooks, and sticker books. I resurrected my four Stars Wars figures from childhood and it felt like I had passed on the family crown jewels. My brother Paul had tons of figures that lived in a Darth Vader case. He also had the Millennium Falcon. Now Calista Flockhart may not what that means, but my Max sure does. Sometimes he likes to talk to his Uncle Paul on the phone about Star Wars. It’s kind of my special thing with Max. I may not know all the “newer” movies but I know enough to impress a six-year-old. My imitation of Chewie makes him laugh. He can’t believe that I remember so many lines from the first two movies. The ultimate Princess Leia, my friend Andrea in the 70s. I found 1970s Princess Leia and 2015 Luke in a compromising position last night. I asked Max about it. “They were kissing,” he grinned. “They’re BROTHER and SISTER,” I said. “Well, it already happened at nap time, “ he said. I laughed about this all day. Let’s get to the books. I’ve mentioned Star Wars Epic Yarns a few times on this blog. They are great for new readers and little kids. The felt figures are charming for any Star Wars fan. Max spent our summer road trips working on yes..Star Wars Workbooks. Learning and Star Wars do go together. He was also obsessed with the many Star Wars sticker books and Lego books available. A favorite is the LEGO Star Wars Character Encyclopedia. Shh…there will be a Chewbacca costume under our Christmas tree. Calvin and a birthday book. Most kids (and adults) like hearing their birth stories. For my twins, it’s mostly the story of how Calvin got things started and that they were born eight minutes apart. My husband Eddie and I thought they sounded like goats. My little goats, I mean babies, celebrated their sixth birthday last week. Indulge me. It’s been the best and hardest six years of my life. Legos, Star Wars figures, buses, games, and an abundance of other gifts were involved in the birthday celebration and of course, there were books. We had to have a conversation before their family party. If you don’t like something DON’T SAY IT, Eddie and I advised. Just tell us later. Kids. They have the charming, horrifying habit of telling the truth. 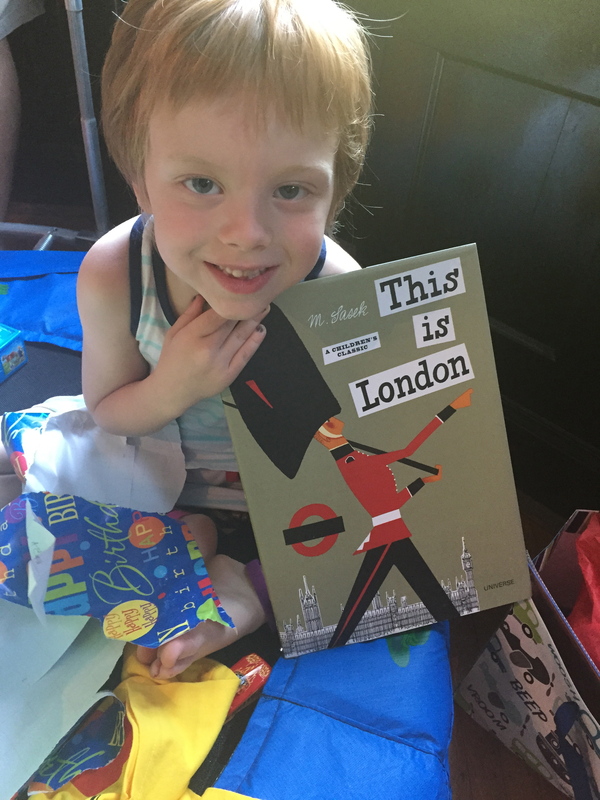 On to the books – Calvin received two London books: This is London by Miroslav Sasek and We Completely Must Go to London by Lauren Child. For Max, more Star Wars Yarns (see a prior post) and Ed Emberley’s Big Purple Drawing Book. Max loves Emberley’s books and has checked the Purple one out several times from the library. The appeal of this one is it teaches you how to draw a pirate ship. 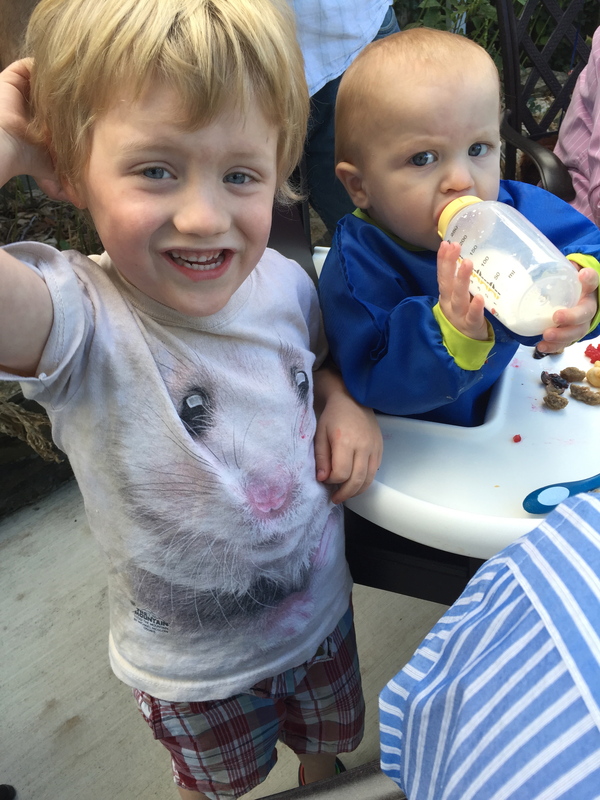 Max and our other birthday boy, Baby Cecil. Later, as Max and I read one of his new books he confessed. We have another birthday boy in our family. Cecil, or Baby Cec as my boys called him, turned one this month! Named after my husband’s father, he is our great nephew. Baby Cec had to have a book too. I chose Chicka Chicka Boom Boom by Bill Martin Jr. and John Archambault, illustrated by Lois Ehlert. I learned of Chicka when I interviewed my friend Erin for this blog. My boys knew about it from preschool and would chant along with it, much to my surprise. 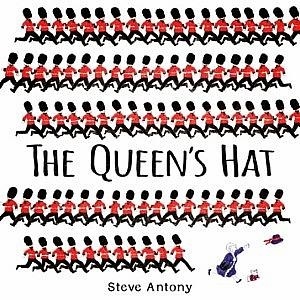 This classic provides a sing songy way to learn the alphabet. Here’s to September birthdays! And reading! And cake! Thanks to our family and friends for the following books. When I Grow Up by Weird Al Yankovic and illustrated by Wes Hargis. And thanks to all my new subscribers! I took my blog on the road last week. On my way to the Tribe Conference in Franklin, Tennessee my fellow writer and friend Melissa and I stopped at Parnassus Books. The store is a literary mecca in Nashville, Tennessee. Author Ann Patchett is the co-owner of the store. She’s also the author of my book club’s first read Truth and Beauty. 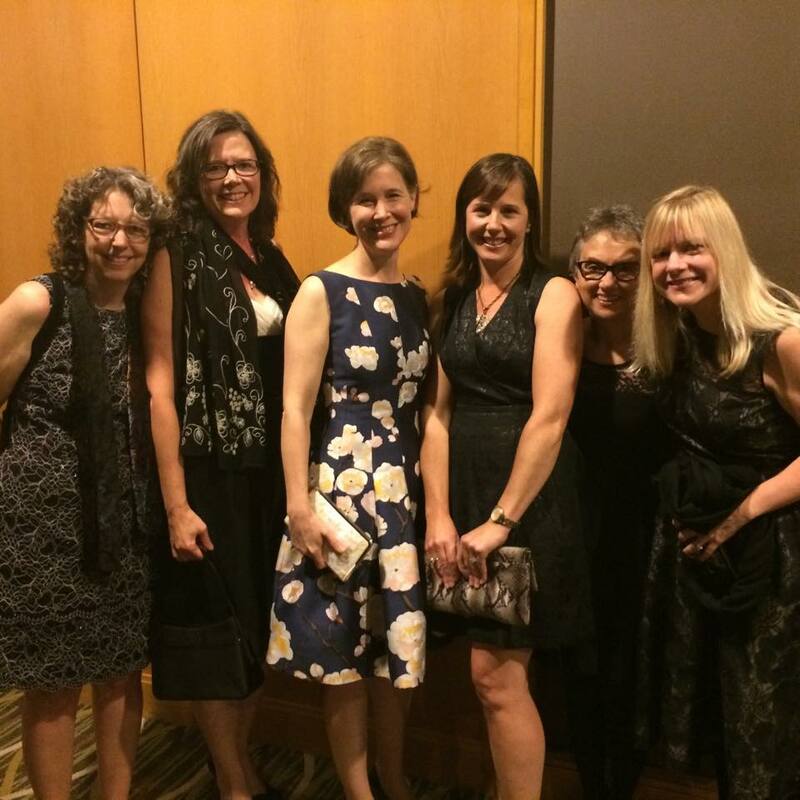 We celebrated our tenth anniversary and love of all things Patchett by hearing her speak at the Cincinnati Mercantile Library’s Niehoff lecture in October. May I digress? Ann talked about the importance of independent owned bookstores. We met her during the cocktail hour and she shared that her fabulous dress was a gift from her friend Liz (author Elizabeth Gilbert). We smiled, gushed, and probably spit like teenagers with braces when we told her that we love her work. She was gracious, engaging, and an intriguing speaker. I try to make it a point to hit independent bookstores when traveling with or without my boys. I found some gems at Parnassus. It has a beautifully stocked and comfortable children’s book section. Calvin also scored This is San Francisco by Miroslav Sasek. This was gold, pure gold, since we were there in June (see my blog post California Love) and he adores Sasek’s This is New York. Max loves all things Star Wars these days. He was happy to get Star Wars Epic Yarns: The Empire Strikes Back and Star Wars Yarns: A New Hope by Jack Wang and Holman Wang. These clever books show Star Wars figures made of yarn and the one word a page are great for new readers. 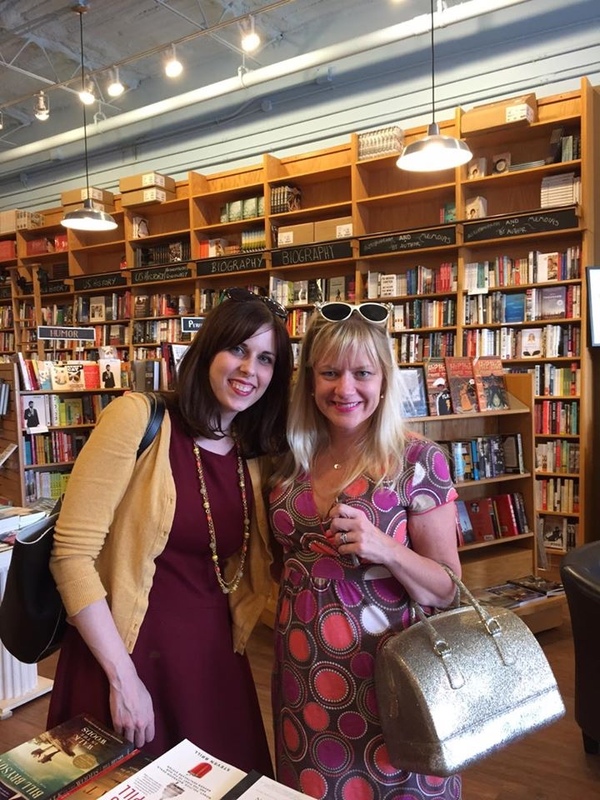 Melissa, me, and my gold handbag visit Parnassus Books. The Tribe Conference (for writers, bloggers, and entrepreneurs), the bookstore, and a little time away from my two kindergartners left me feeling inspired! Ps. At the conference we were challenged to ask for email addresses for our blogs. I got around 60! Thank you to all who responded! Check out your local bookstore or library for all the titles mentioned above or visit Powell’s City of Books for the The Queen’s Hat, and This is San Francisco. Star Wars Epic Yarns: The Empire Strikes Back can be bought from Chronicle Books. Elizabeth Gilbert will be at Parnassus Books on October 21 with her new book, Big Magic.